Are You Experiencing Any Of These Debt Collection Nightmares? HomeBlog Debt ReliefAre You Experiencing Any Of These Debt Collection Nightmares? Being heavily in debt can be a nightmare all by itself. Big debt can cause stress that actually turns into physical problems. In fact, it’s not much of an over statement to say that big debt can kill because the stress involved can lead to heart problems, ulcers, insomnia and a host of other physical ailments. If you get so far behind on one or more of your debts that you start getting calls from a debt collector this can make your nightmare even worse. The Consumer Financial Protection Bureau has been tracking complaints that it receives from consumers regarding debt collectors and documented the top ones. If you’ve been hounded by a debt collector for a debt you believe wasn’t yours, you should be able to relate to debt collection horror story #1. It’s debt collectors that try to collect on debts that the person didn’t even owe. In fact about 20% of the complaints filed with the Consumer Financial Protection Bureau CFPB) had to do with this. It can be very maddening to be harassed by a debt collector over a debt you don’t believe you owe. Fortunately, there are things you can do about this and we will cover them in a later paragraph. As you might guess, the next most common complaint filed with the Consumer Financial Protection Bureau had to do with harassing phone calls. In fact, 13% of the consumers who lodged complains with the CFPB said that debt collectors had called them continually or way too frequently. Another 13% of the complaints filed with the CFBP were that the debt collector had not provided them with enough information that they could know that the debt was actually theirs or that the debt collector did not have the right amount. Other complaints filed with the CFPB included collectors that tried to collect debts that were already paid, tried to collect the wrong amount, talked with some third-party person like a neighbor or family member about the debt, threatened to take legal action against the debtor or contacted people after having been told to quit calling them. Use deceptive methods to collect debts. If a debt collector is harassing you, you can bring this to a stop. To do this, you will need to write the debt collection agency what’s called a “cease and desist” letter. This is simply a letter that tells the debt collection agency to quit contacting you. You will need to send it certified and return receipt requested so that you can prove the agency received it. Once it has your letter it can contact you only once more – to either tell you it will not be contacting you any longer or to tell you what action it intends to take such as suing you. If you are being harassed over a debt you believe isn’t yours the first thing you need to do is ask for validation. A debt collector is required by law to prove that the debt is actually valid. The way that you request validation is to submit the request in writing. 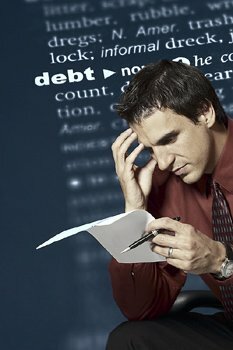 In the letter you send the debt collector you can dispute the whole debt, a part of it or simply ask for the name of the original creditor and the date of the debt. When a debt collector receives your letter, it can no longer contact you until it has provided the information you requested. You will need to send your validation letter as certified mail and with return receipt requested so that you can prove that you did send the letter and that the debt collector received it. Then if you ever have to sue the collector, you would have the certification and return receipt that would help support your case. You would also be able to demonstrate that you sent the letter within the 30-day time frame that’s required by law. Once the collection agency receives your validation request it must mail you proof that the original lender assigned the debt to it, that you do owe the debt and the amount of it –in the form of documentation from the original lender. In the event the debt collector cannot provide this validation within 30 days, it must stop trying to collect from you and must not list the debt in your credit file. You should also check the statutes of limitations on debt in your state. Every state has different statutes of limitations on various types of debts. For example, Arizona’s statute of limitations on credit card type debts is three years. But Connecticut’s is six years and Indiana is 10. In comparison, Arizona’s statute of limitations on written contracts is six years as is Connecticut’s but Iowa is 10 years. Once you know the statutes of limitations in your state, you can compare this with the date of your debt. If you’re lucky, you might find that the statute of limitations has expired on it and that you no longer have to pay it. In the event you find that the debt is actually yours you can negotiate with the debt collection agency. A little known “secret” of debt collection is that the agencies typically buy debts for pennies on the dollar. Your $500 debt might have been sold for $10. In other words, there should be a lot of room for negotiation and you might be able to settle that $500 debt for $100 or less. If you are able to successfully negotiate a settlement, be sure to get everything in writing before you pay the debt collection agency. It’s a sad but true fact that debt collectors will tell you anything in order to get your money. So never pay off any debt you were able to negotiate until you get the entire deal in writing. And make it clear to the debt collector that you will send no money until you have a letter confirming the deal you negotiated. Some collection agencies will go so far as to file suit over a debt. Its hope is that you won’t show up in court so that it can get a summary judgment against you and then put a lien on your home or garnish your wages. If you are sued, be sure to show up in court to avoid being hit with a summary judgment. Even if you lose in court and are required to pay the debt, this is better than ending up with a lien on your home or having your wages garnished.